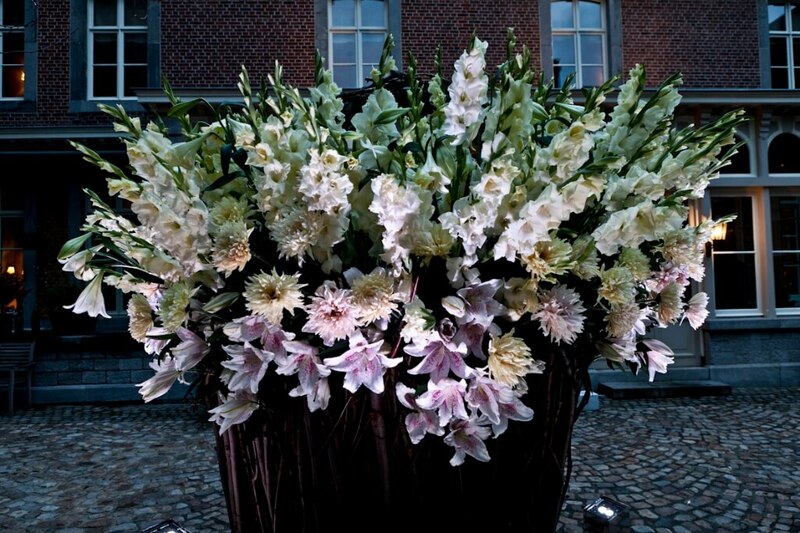 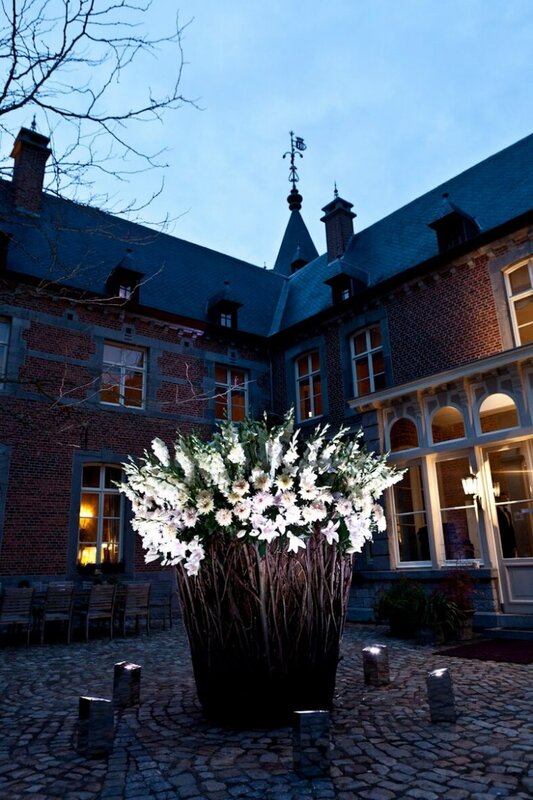 The Wunderkammer provided the floral decoration for a management team celebration. 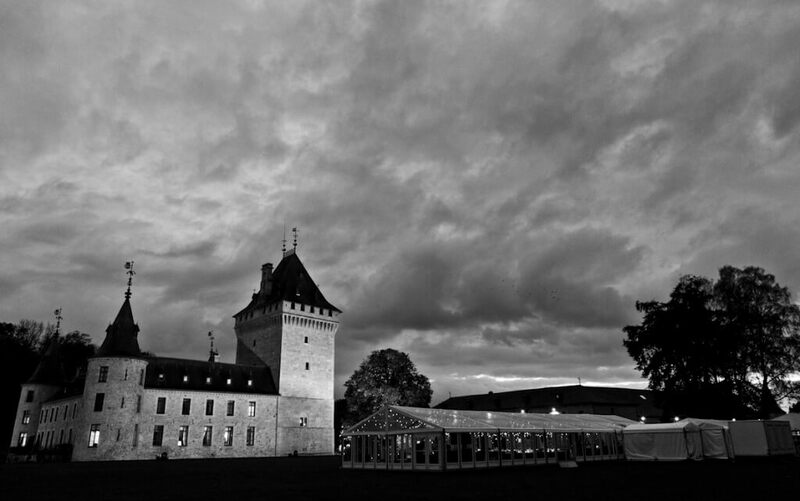 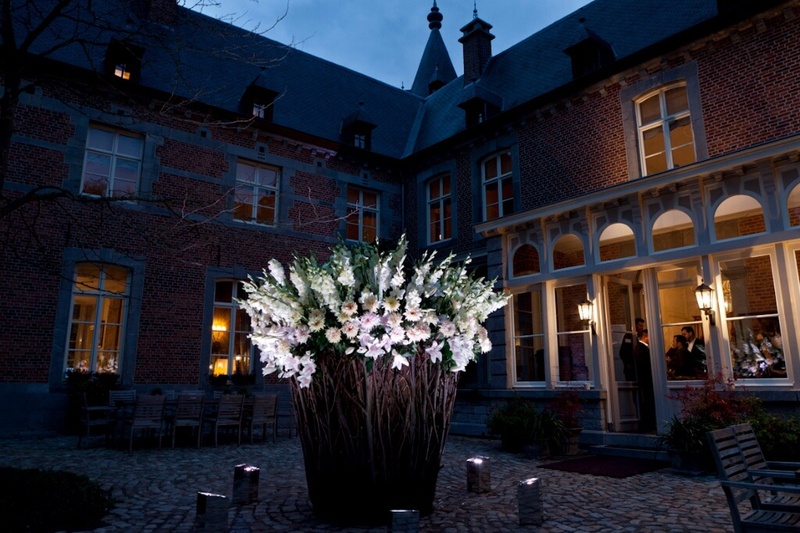 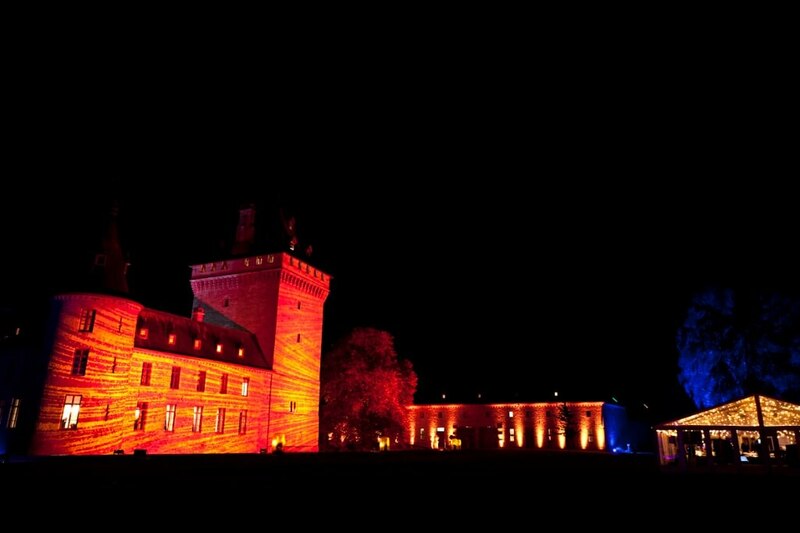 The setting was a beautiful castle in Belgium that hosted the after dinner party. 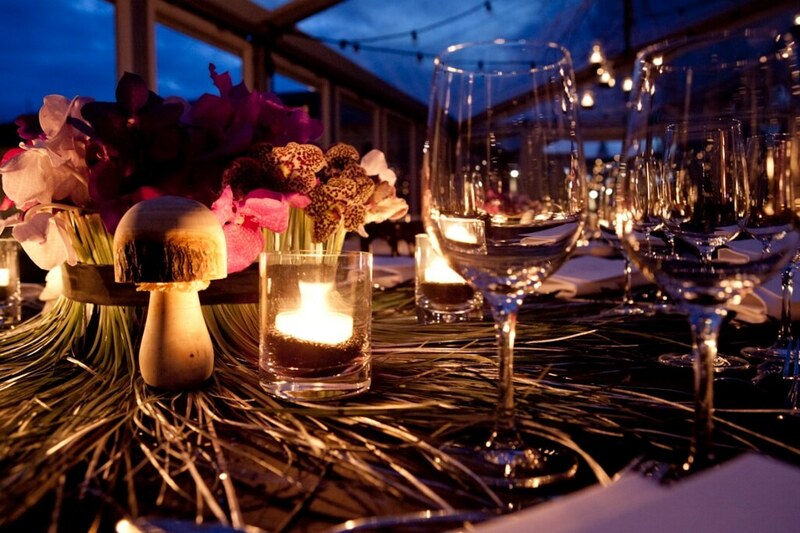 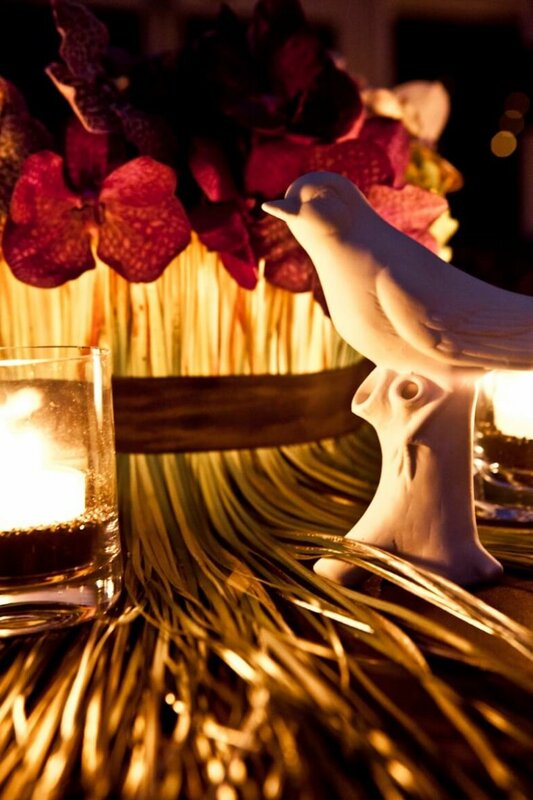 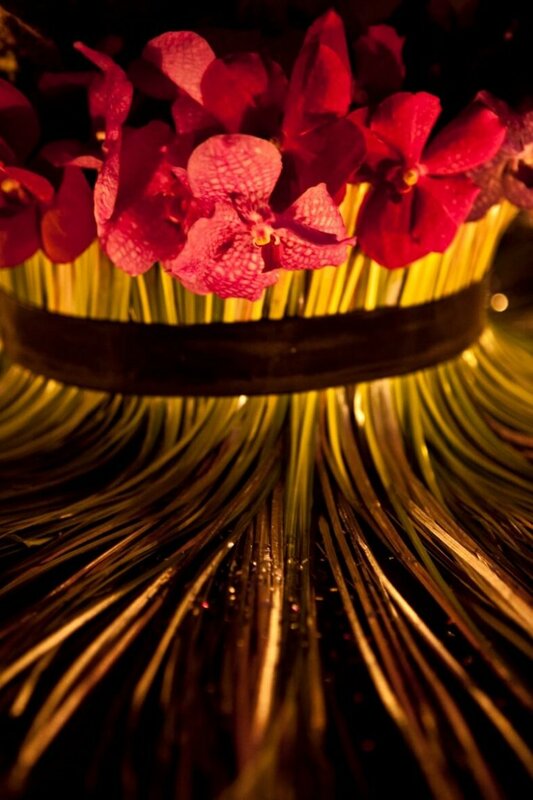 Decorations for the dinner table were made with orchids and grass, decorative ceramic and wooden items. 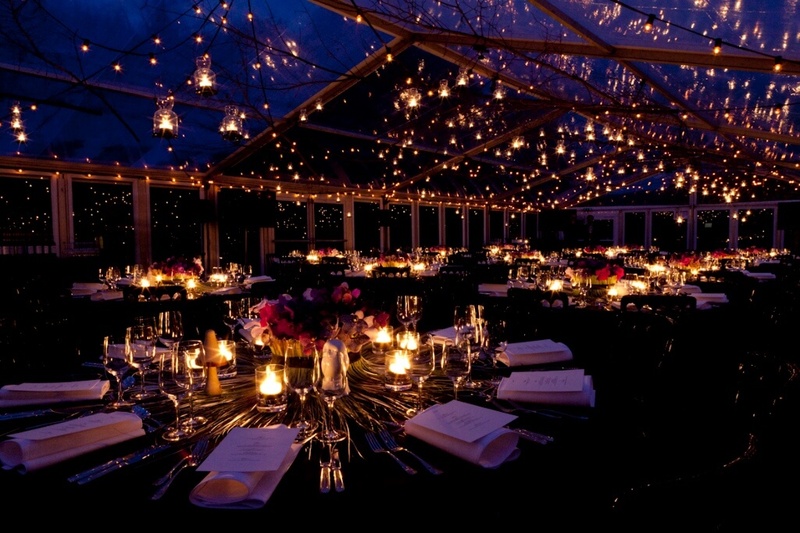 Fairy lights and candles were hung from branches that covered the glass roof. 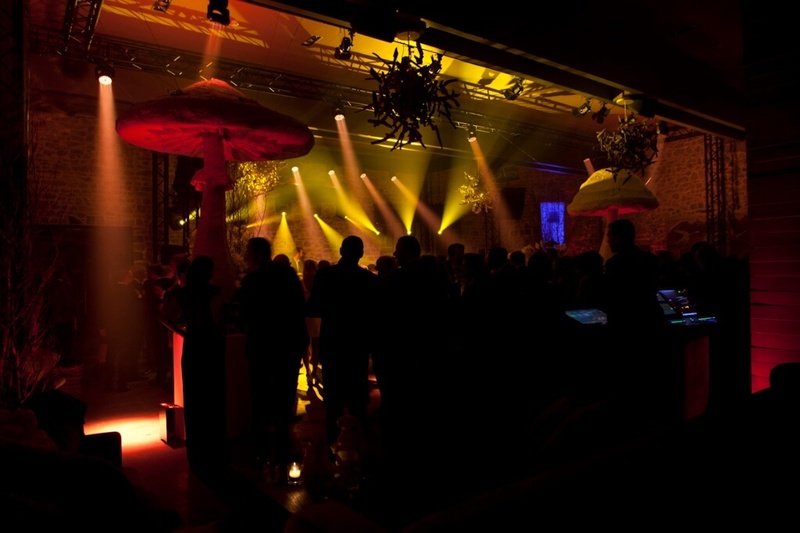 The party venue was adorned with several hand made mushrooms of own design that served as statement pieces in the room.